Dr. Nanette Auerhahn had been notified that she has won the 2019 award by the Committee for the Elise M. Hayman Award for a paper that she co-authored with Dori Laub, M.D. The paper is titled “Probing the Minds of Nazi Perpetrators: The Use of Defensive Screens in Two Generations”. The award, carrying a $4000 prize, will be presented to Dr. Auerhahn at the Congress of the International Psychoanalytic Association to be held in London from July 24-27, 2019. The paper, which explores defenses used by Nazi perpetrators, describes walled-off, dissociated states that allowed atrocities to be committed outside normal thought process by persons who had no particular character pathology. The study used Dr. Auerhahn’s own clinical material plus years of material accumulated by Dr. Dori Laub with whom she has worked for several decades, beginning while a doctoral student at Yale University. Dr. Laub died in June 2018, after which Dr. Auerhahn completed the paper. In their work with children of both perpetrators and survivors, both analysts were able to help their analysands integrate evidence of screened off atrocities into their narrative when they were recognized and interpreted. An earlier version of this paper was presented by Drs. Laub and Auerhahn at a meeting of the American Psychoanalytic Association in New York on February 14, 2018. On June 19, 2018 Cleveland Psychoanalytic Center voted unanimously to pass a resolution to condemn the practice of our government to forcibly separate children from their parents. Also, our Center formed a Social Responsiveness Committee to address the issue of government’s child abuse and human rights violation when they forcibly separate children from their parents or families and or lie or distort the facts in the press. Our center and its members joined other organizations in the country like the Association for Child Psychoanalysis, the American Psychoanalytic Association (APsaA) and Div 39 of the American Psychological Association (APA) among them, to protest and influence our government to stop these inhumane practices. Dr. Justine Kalas Reeves, speaking on behalf of child therapists members of the Association for Child Psychoanalysis about forcibly separating children from their parents, wrote: “The quickest way to hurt a child is to separate him or her from caretaking parents (Bowlby, 1969, 1973, 1980; Freud, A., 1941; Rutter, 2002). Our country’s child protection laws protect this basic human right of children and parents to stay together unless there is evidence of harm in the parent-child relationship. Likewise, most religions also consider the parent-child relationship sacrosanct. Slavery, mandatory boarding schools for native Americans or internment of the Japaneseforced separations of children and parents and in so doing dehumanized these groups. Parents are severely harmed by this as well, as in the father so devastated by separation from his child and wife he took his life. The border patrol who wondered why Marco Antonio Muñoz, 39, would commit suicide and never see his family again failed to recognize that children and parents alike suffer profound psychological and physiological separation distress that can be fatal. The image of the two-year old Honduran girl in the red top crying as her mother is searched in McAllen, Texas has brought tears to the world’s eyes. The inconsolable two-year old described at a facility where they are not allowed to touch the childis evidence of toxic trauma wrought by these forced separations (Freud, A., 1972). Spitz showed that children who are not touched can die (1951). We are not like machines that just need any old electrical outlet to run; we are highly programmed to be in close physical contact with caregiving figures, and the food, ministrations, cleaning, clothing and comfort provided by those caregiving parents go together with this caring figure. An infant who loses his or her mother but gets formula and clothes is nonetheless a starving infant. Though older children with speech and the ability to hold in mind that they will see said parent again can survive separations, they too will suffer profoundly if they are given no information as to when next they will see a parent. Older children and adolescents are still highly psychologically dependent on parents for their physical and mental well-being. By law, the first eighteen years of a child’s life are protected from forced separations from parents in this country. It is imperative that infants, toddlers, school-aged children, including adolescents, and their parents have this most basic human right inviolate to effectively protect physical and psychological health. Other therapists added their voices and images, like Phillip Hirshenfeld’s photos. Children cannot wait for changes in legislation. Separating children from parents, parents from children, and compelling government workers to do it has to stop now. From research on the transgenerational transfer of trauma, it is clear, such governmental practices will leave a permanent mark on this generation and future generations not just of immigrants and their children, nor just workers and their children, but may influence all of the children who will respond with terror to the news, see or hear of their parents’ explicit or hidden responses. Lenore Terr studied in 1977 the impact of child abduction on children, their families, and the community when 26 children were abducted in California. Studies of the Chowchilla children published in her book Too Scared to Cry showed that the impact of trauma is very broad and may affect even those who were just hearing the story of abduction. Gabriele Schwab wrote in Haunting Legacies: Violent Histories and Transgenerational Trauma of the haunting legacy of trauma of children of perpetrators. She explored trouble with idealization of politics, of government, and of family members and not facing the reality of loss of faith in their capacity for compassion and respect for rights of others. She described how having a perpetrator in the family or belonging to a nation perpetrating violations of human rights affects identity formation derived from guilt, shame and mortification. Shame and mortification leads to hiding. The identity formation that allows continuous lies and secrets due to inability to save face, leads to hiding for generations. The question which one of us or which group of us are despicable, who are “good” people and who are evil is present in our daily life on the streets, at the borders of our country and in our families. The particular forms in troubled identity formation described by Dr. Schwab have to do with emotional conflicts over ethnic, cultural or national interpellations. We are in the middle of a crisis of anti-black, anti-Muslim or anti-immigrant feelings, just to name a few. She brings forth Althusser’s definition of interpellation as the lumping together of subjects into specific cultural, political or legal positions. In other words there is no such thing as different race; all human beings are Homo Sapiens. However, if we walk down the street and hear the policeman say, “Hey, stop immediately!” or we see a police car behind us with lights flashing we feel interpellated in the same way as a criminal would even if we have never committed a crime, if we are not black, Muslim or an immigrant. President Trump signed the order to stop policies to separate children from parents, but did not comment on how 2500 children will be reunited with their families and how our government will begin reparations and/or stop inhumane immigration policies. For all our children there is no time, it has to happen now. Adults have to do the work in a short foreseeable future. Bowlby J (1999) . Attachment. Attachment and Loss (vol. 1) (2nd ed.). New York: Basic Books. ISBN 0-465-00543-8. LCC N 00266879. OCLC 11442968. NLM 8412414. Bowlby J (1973). Separation: Anxiety & Anger. Attachment and Loss (vol. 2); (International psycho-analytical library no.95). London: Hogarth Press. ISBN 0-7126-6621-4. OCL C 8353942. Rutter, M.(2002). “Nature, Nurture, and Development: From Evangelism through Science toward Policy and Practice”. Child Development. 73 (1): 1–21. doi:10.1111/1467-8624. 00388. PMID 14717240. Washington Post, May 31, 2018: ” ‘Barbaric’: America’s cruel history of separating children from their parents,” by DeNeen Brown. Washington Post, June 9, 2018: “A Famly was separated at the border, and this distraught father took his own life” by Nick Miroff. New York Times, June 16, 2018: “How Trump Came to Enforce a Practice of Separating Migrant Families,” by Julie Hirschfeld David and Michael D. Shear. Washington Post, June 16, 2018: “ ‘America is better than this’: what a doctor saw in a Texas shelter for migrant children,” by Kristine Phillips. The Association for Child Psychoanalysis offered this text to send by email, FAX, or phone message to your congressman and senator. Please feel free to copy and change it as needed. Use Find My Representative or How To Contact Your Elected Officials to obtain your representative’s name and contact information. I am contacting you to express my deep concern and outrage about the current administration’s new policy of forcefully separating young children from their parents at our Southern border. Tearing children from the arms of their parents and sending them to unknown locations is a form of child abuse and torture. It is also cruel and abusive to the parents who are often looking to get out of poverty or for an asylum to save their lives and the lives of their children. 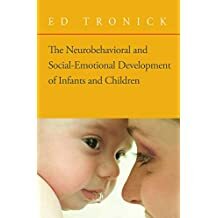 Child development research on attachment and loss (see for example John Bowlby 1973) has conclusively demonstrated that young children who were separated from their parents abruptly for even a few days, or weeks suffer from lifelong post-traumatic stress disorder. Having been traumatized they often struggle with chronic anxiety, depression, night terrors, and bed wetting. They develop significant difficulties concentrating, playing, learning, and forming trusting relationships with others. Feeling deeply betrayed and abandoned they may harden and over time become antisocial as a result. I strongly urge you to do whatever is in your power to end this immoral policy that is destroying the lives of innocent parents and their children.